As readers, we each have our own preferences. There are subjects we naturally gravitate towards and others we avoid. For me, I generally avoid books that include abuse as part of the storyline. However, after running into Ending Fear at every turn, a book I might have otherwise avoided, I stepped out in faith to read it and was pleasantly rewarded. 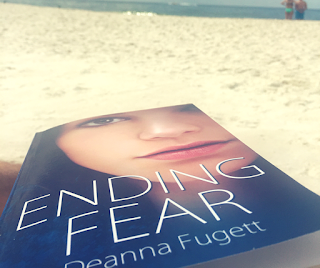 Ending Fear by Deanna Fugett features a refreshing approach to including the subject of abuse in a fiction story, leaving the reader with a sense of hope and empowerment. Fourteen-year-old Fear seeks to escape her abusive adoptive family and build a new life with a new family. Humble prose reveal only the necessary details of Fear’s abuse with a gentle authenticity wrapped in faith and love. Along the way, Fear discovers the path of faith in her future dystopian world where people are taught there are no moral absolutes. Ending Fear is also a finalist for a Realm Makers Award. Consider adding Ending Fear by Deanna Fugett to your reading list. Fourteen-year-old Fear learns she was a parachute baby, dumped over the edge of the Gliding Lands as an infant. Fascinated by the floating cities in the sky before, now she’s desperate for answers. But a slave isn’t likely to get those answers. Thank you for reviewing Ending Fear! I appreciate it so much! Such a great book. I couldn't put it down. Now my daughter is reading it. I can't wait for the next book! You're most welcome, Deanna! I loved it!